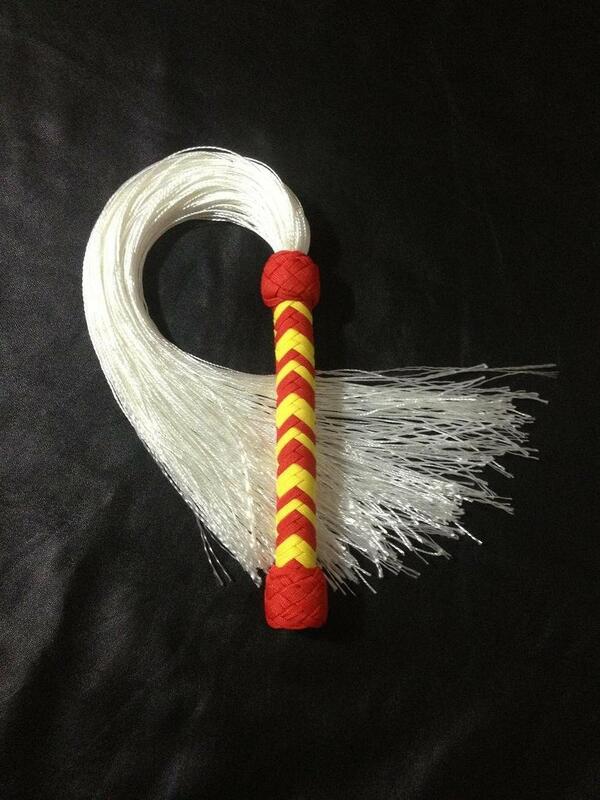 One of our small fluffy floggers with red and yellow handle plait. These fluffy floggers are great for sensual play and feel lovely when stoked on the skin. Used more heavily, they have a gentle ‘punchy’ sensation with a little sting. When new, these floggers feel like horsehair. The falls will start to fluff up more as the flogger ages, becoming more and more sensual. 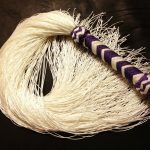 The small size of this flogger makes it great for spanking and intimate scenes. Be the first to review “Fluffy Flogger – Red & Yellow” Click here to cancel reply.